Kobujutsu is a Japanese term meaning ‘Old Warrior Arts’ the general usage of the term relates to the practice of Oriental Weapons. There is also a word KOBUDO, which means Old Martial Way’. 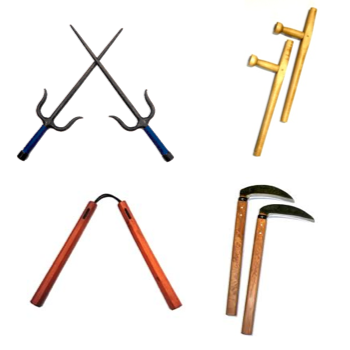 The two practices are almost indistinguishable from each other, the main difference being that Kobujutsu teaches you how to use weapons effectively whereas Kobudo teaches you how to be a more self-disciplined person through practicing with weapons. The methods are essentially the same; only the objectives are different.